Contrade or local districts were set up in the Middle Ages in order to supply troops to the many military companies that were hired to defend Montisi. As time has gone by, however, the contrade have lost their administrative and military functions and have instead become simply areas of localised patriotism, held together by the emotions and sense of civic pride of the residents. 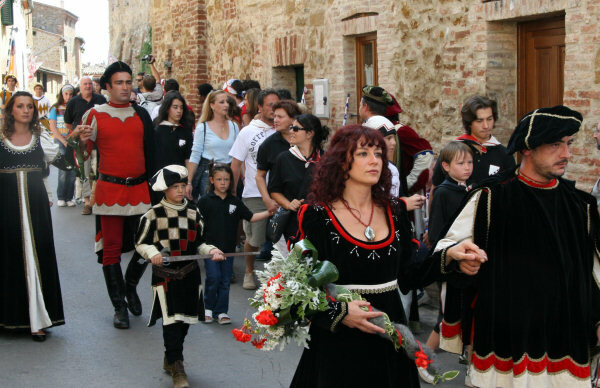 Today their roles have broadened so that every important event - baptisms, deaths, marriages, church holidays, even wine or food festivals - is celebrated only within one's own contrada. A special area located within Villa Maddalena is set aside for the local contrada. This special area has exterior entrances and doesn't have direct access to the interior of the villa. 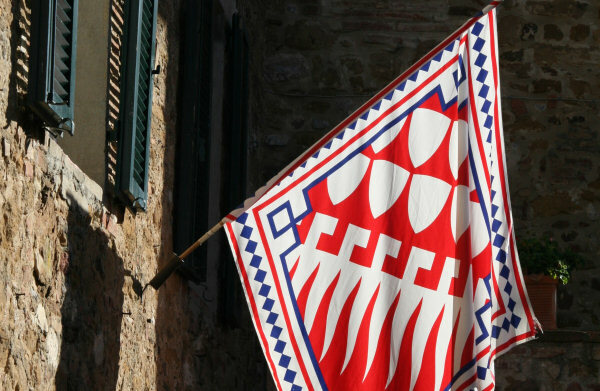 However on occasion, the contrada uses the front hall during festivals.